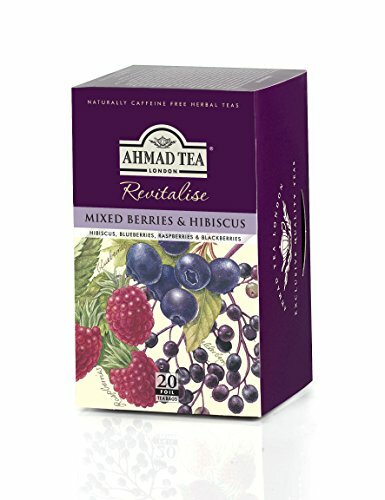 Located in London in the U.K., Ahmad Tea is in its 4th generation of providing fine quality tea, with a history that began in 1950, when founder Hussain Afshar started importing tea from India into Iran. This tea company’s experience in the tea trade covered all facets, including plantations, production and packaging, after acquiring a tea processing plant situated near the Caspian Sea. They manufactured bulk tea which was sourced from the provincial region of Gilan in Iran, which was then blended and sold across Central Asia. The 1979 Iranian revolution led to the family emigrating to the U.K., where their brand eventually became associated with Britain’s great tea traditions. 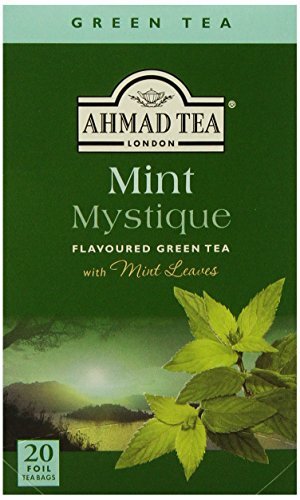 Winning their first contract to supply tea to a major department store in Spain, Ahmad Tea continued to build their reputation as one of Iran’s and England’s best-selling teas. In 1986 they opened a facility in Hampshire which led to relocation to a larger site in 1989 due to growing demand for their products. Their export market spread across Eastern Europe and by 1998 they launched ranges of green and iced teas, becoming one of the top 5 leading brands across Asia. A new eco-friendly office was opened in Hampshire in 2010 and the jewel in Ahmad Tea’s crown came about in 2011, when they were awarded responsibility for supplying tea for the Royal Collection, which included Buckingham Palace. Continued strategic marketing now has their teas available in over 80 countries. Along with philanthropic initiatives and offering quality, award-winning blends which include black, green, herbal and flavored teas available in select restaurants, hotels and specialty stores, Ahmad Tea also has a tea museum located at their headquarters. In partnership with U Support Charity, Ahmad Tea donated proceeds to assist disabled children and in 2013 they were awarded the Ethical Investor of the Year for charitable endeavors in the U.K. as well as for supporting orphanages in Mali, Russia, Sri Lanka and Ukraine. Ahmad Tea is a member of the United Kingdom Tea Council (also known as the UK Tea and Infusions Association) and and they also belong to the Ethical Trade Partnership, continuing their commitment to sourcing teas in a responsible way. Offering quality teas and blends as loose leaf or bagged teas, this company ensures that every cup results from selective procurement of fine botanicals, with mindful consideration of the environmental and social impacts of their products. 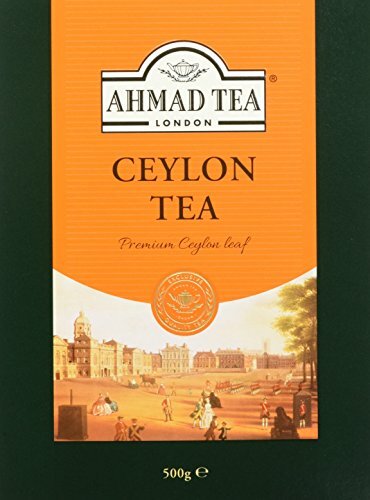 Ahmad Tea of London : Ceylon Tea (loose tea) 500ge/17.6 oz. Grown on the hillsides of Sri Lanka, this classic tea is a rich brew with memorable character and is surprisingly light for a black tea. A honeyed, amber color and exceptional flavor that’s never bitter, makes this a cup of tea suitable for mornings or for reflection and contemplation after a hectic day. This fruity brew, comprising of traditional berries, is perfect for a lazy afternoon when you want a naturally sweet pick-me-up. Invoking the English countryside, this delicious blend is naturally caffeine free and includes elderberries, blueberries, blackberries, raspberries as well as hibiscus, rosehips and apples. Green tea is enhanced with mint to create a unique blend that is subtly scented and delightfully refreshing for any time of the day. Healthy and low caffeine, you’ll appreciate the delicate flavors of mint intermingling with the finest quality green tea, providing antioxidants and a relaxing experience that’s not overpowering. For the marriage of Prince Harry and Meghan Markle, Ahmad Tea has developed a limited edition Royal Wedding Caddy in rose gold or silver, which contains 25 teabags of English Breakfast tea. With a history of providing fine quality tea and a commitment to enriching lives around the world, this tea company has a lot to offer for compassionate tea sippers who appreciate the finer things in life.